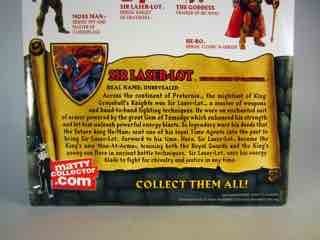 The figure seemed to go through quite a few design changes, as you can see on the figure's cardback photo (left). 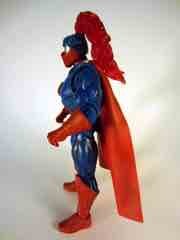 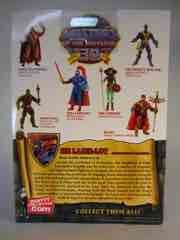 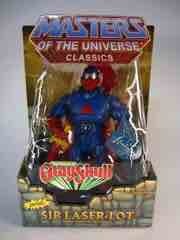 The photo's boots and underpants are clearly those of He-Man or Man-at-Arms and the arms of, seemingly, Tri-Klops. 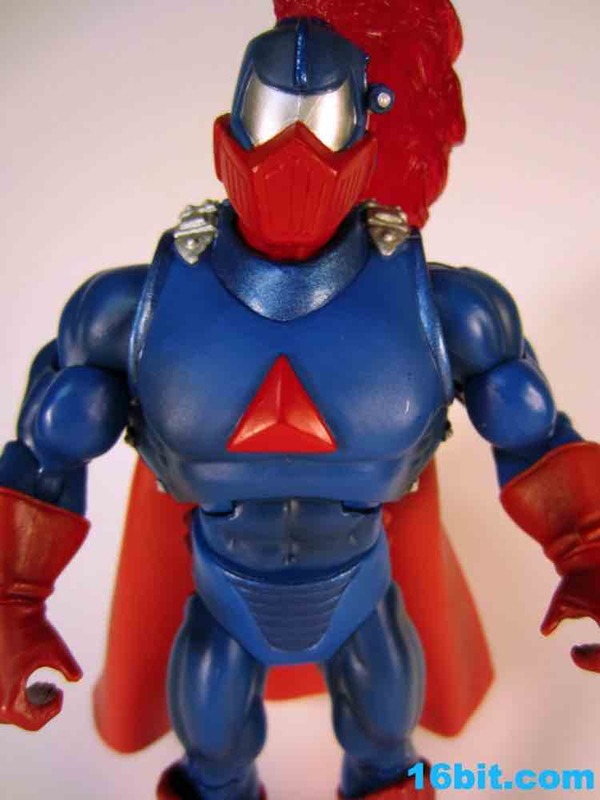 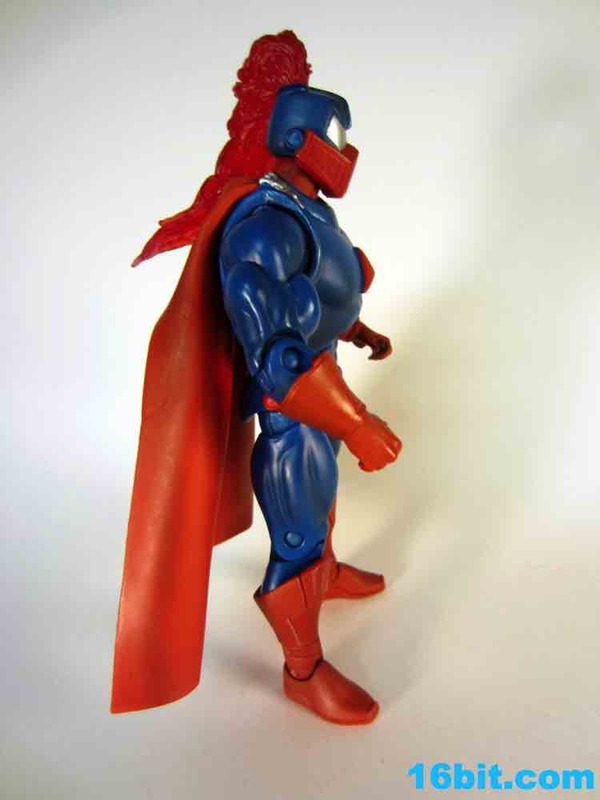 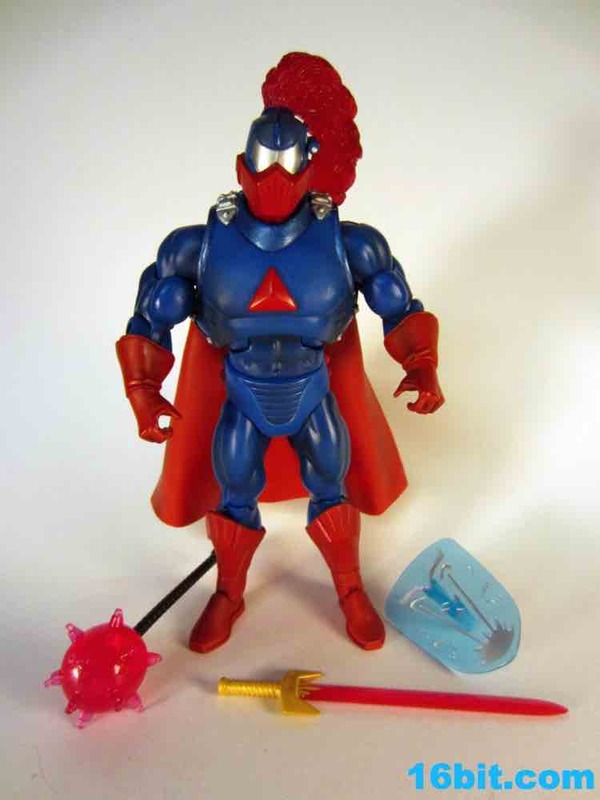 The final figure wears the boots of Bow, the gloved hands of Hordak, and the underpants of Optikk/Trapjaw, which gives the figure an unquestionably different look. 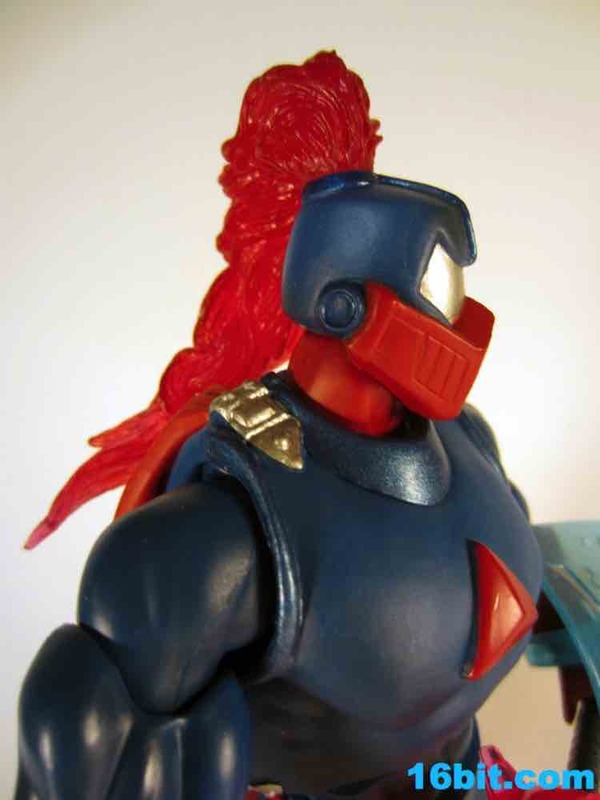 The figure's red energy plume out of the back of his helmet was meant to be jointed, but was glued in place by the factory. 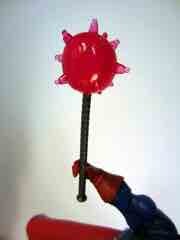 I'm told that the glue can be worn down and the plume can move, but I don't want to risk ripping it. 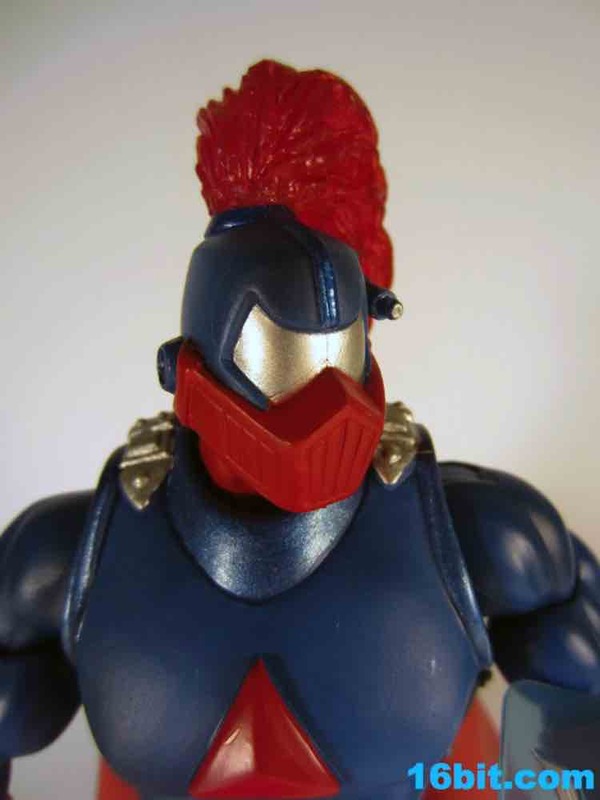 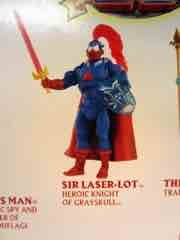 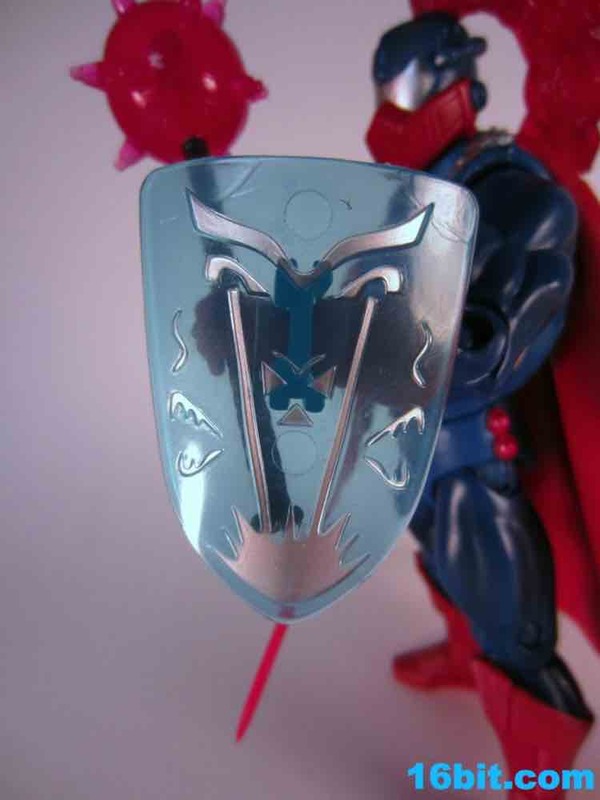 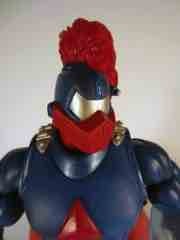 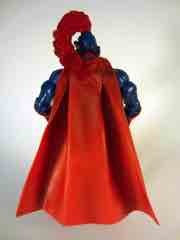 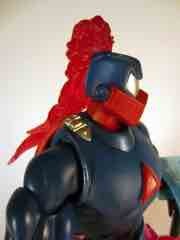 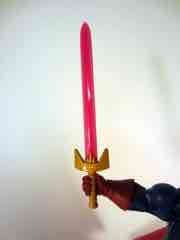 The original prototype for the figure also had a clear red gem on his armor, this is opaque on the final release. It looks pretty good as it is, with the prototype looking more "ancient" and the released figure seeming slightly more of the future. So who is this guy? 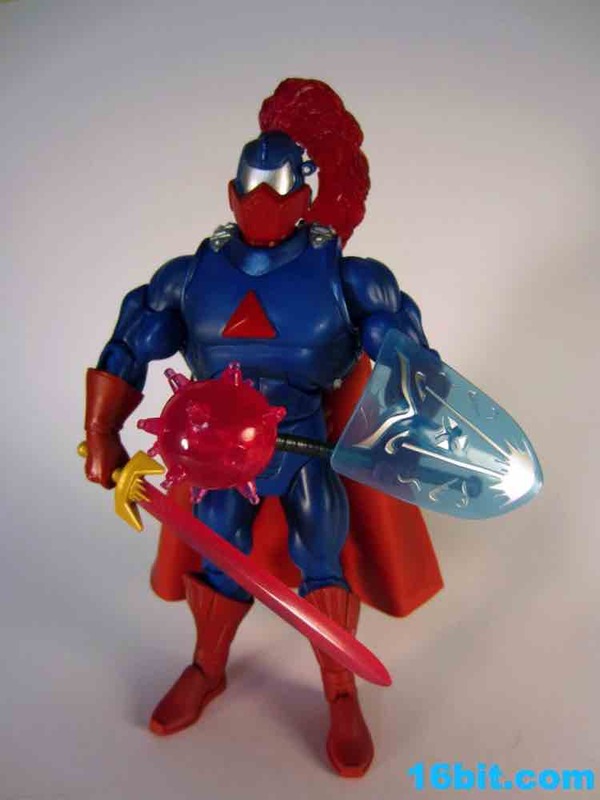 The story is that the Mighty Spector traveled back in time to pluck him out of the past just before his death to serve King He-Man in the future of Eternia as a new Man-At-Arms after Duncan and presumably Clamp Champ died. 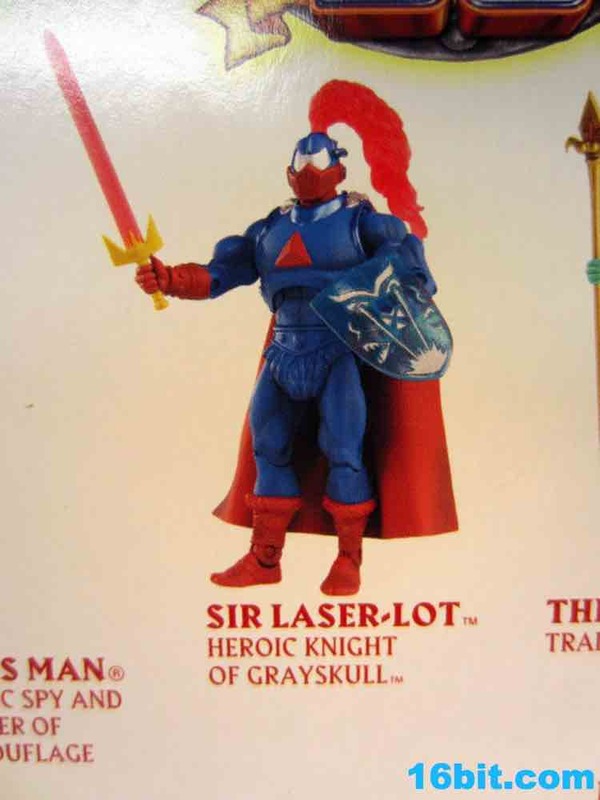 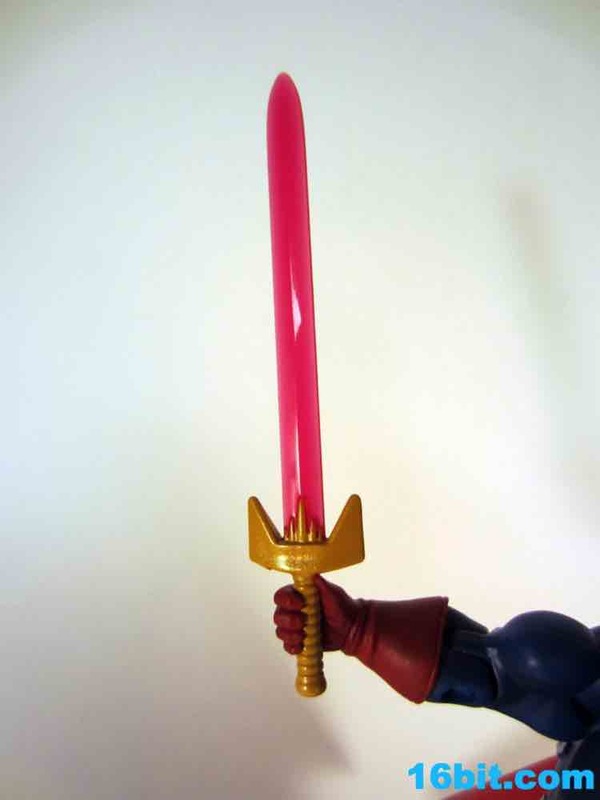 The insanely colorful figure looks like it fell out of the late 1980s, making it a good fit for the "Powers of Grayskull" sub-line... of which the figure carries the logo. 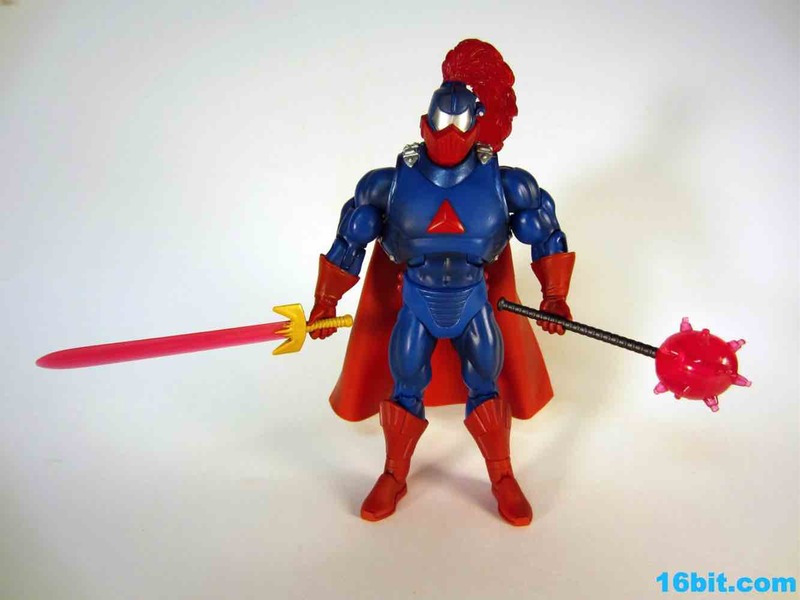 He has all-new accessories with a clear red sword, a bright red mace, and a clear blue shield with silver designs on the side. I'm not entirely sure what it's supposed to be, but I figure it might have to do with the pedestal for the Orb. Slow to sell at first, the figure returned in November as a Black Friday special (at regular price) and surprisingly (to me) did not sell out. 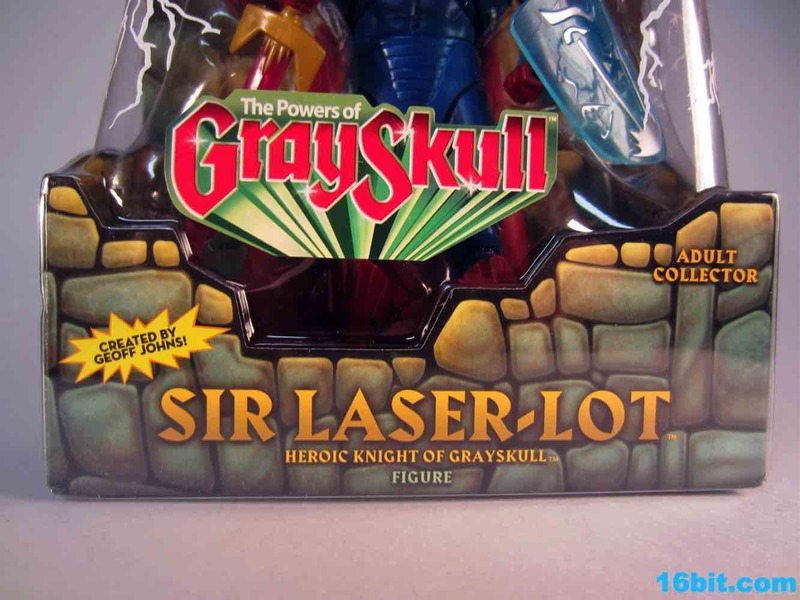 Then he was $15 on Cyber Monday. 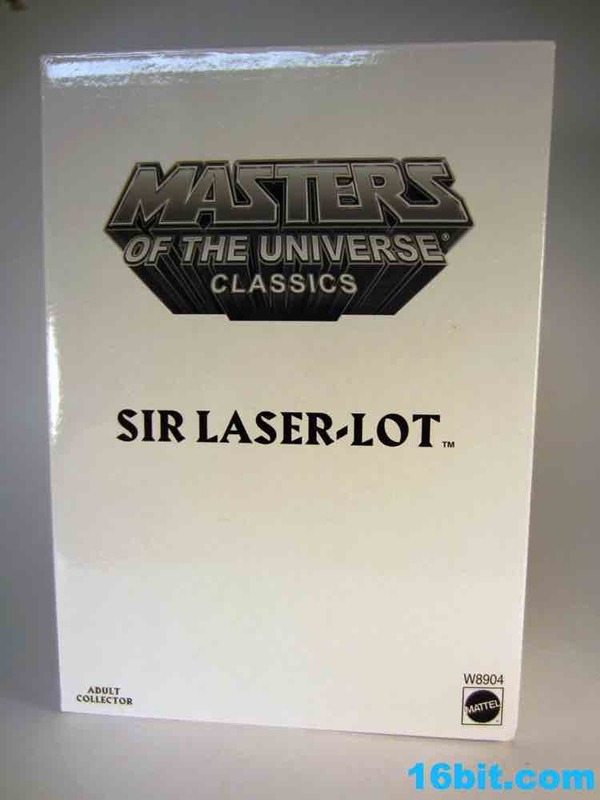 He goes for about $20 on eBay, which is about right. 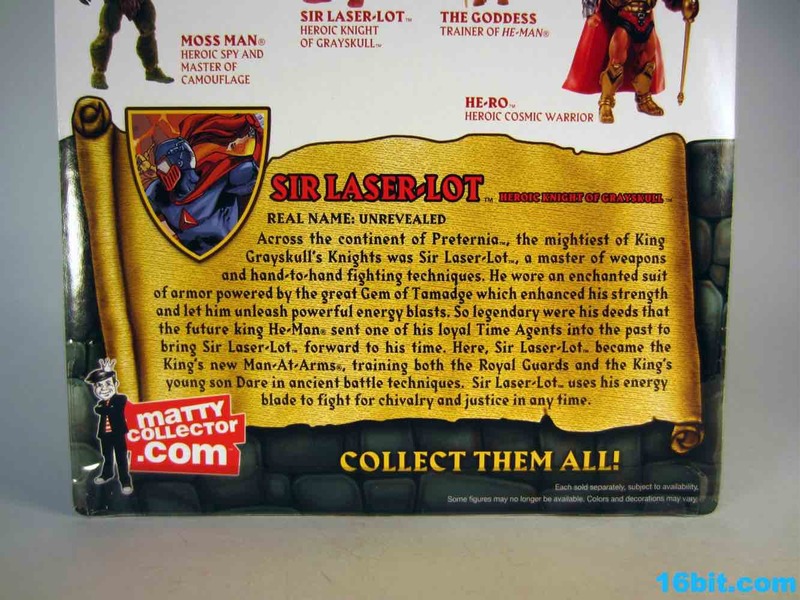 I think I'd be a lot more enthusiastic about this one at a lower price, but it's not like these things can get any cheaper. 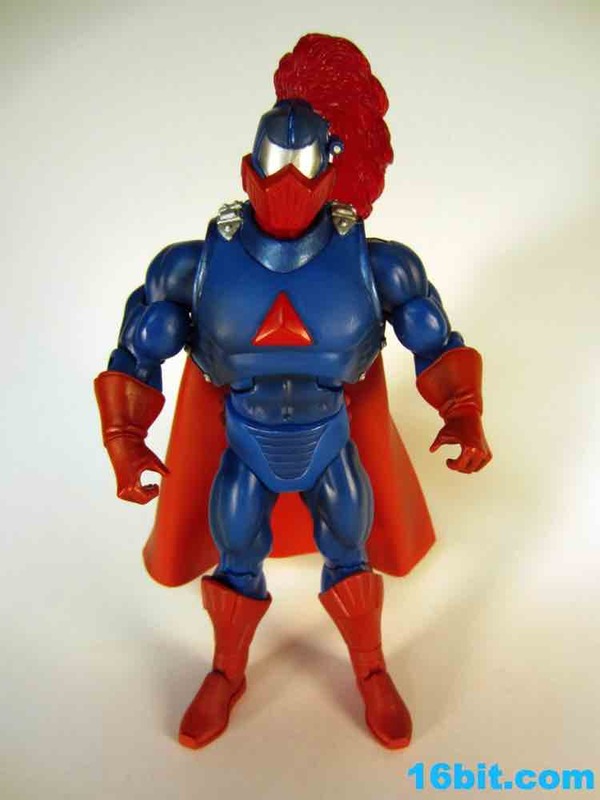 There's nothing functionally iffy about this figure, really the only complaint you can make is if you don't recognize its right to exist.